Enter our competition for the chance to win a pair of tickets for our Classic Album Sundays 25th anniversary celebration of Depeche Mode ‘Violator’ on Sunday, 1 March in either London or New York City (event details here), a vinyl copy of the album courtesy of Sire/Rhino Records and a set of Klipsch Audio S3M earphones. Terms and conditions are below and the winner will be notified on Saturday 28th February at 1 pm GMT. 1.This competition is open to fans following Classic Album Sundays aged 21 years or over. 2. Employees of Classic Album Sundays, or persons in any with involved in the development, production, or distribution of this competition, as well as the immediate family (spouse, parents, siblings, children) and household members of each such employee, are not eligible to participate in the Promotion. 4. This competition will commence at 3.00pm (GMT) 12:30 pm 23 February 2015. The cut off time for entries will be 12:30 pm on Saturday 28th February , winners will be notified by 1 pm that day (Saturday). 8. 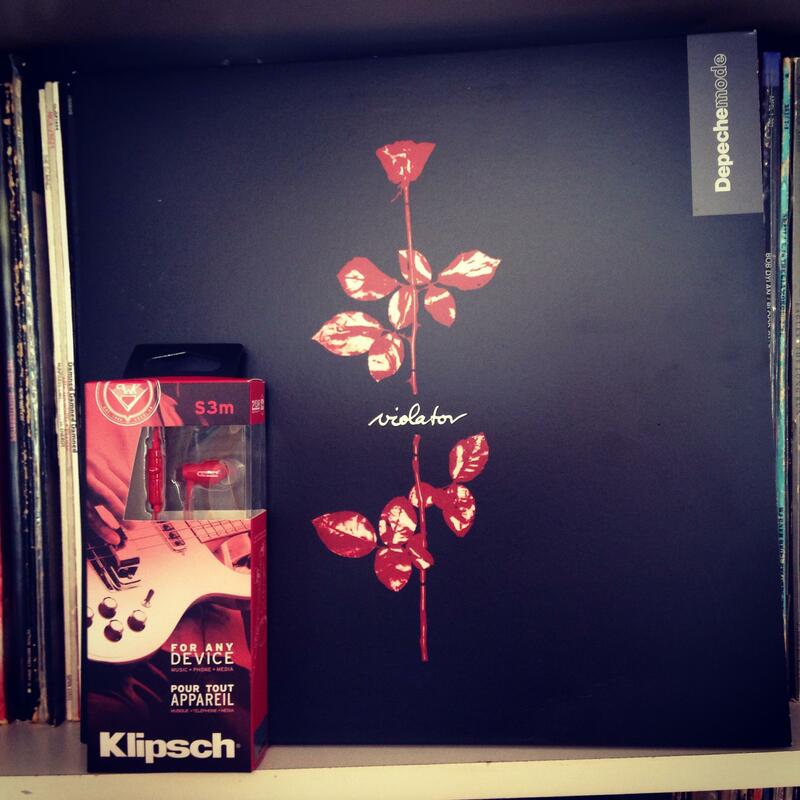 There will be one winner per who will receive entry for two people to either our London or New York City Depeche Mode ‘Violator’ CAS session on 1 March, 2015, one vinyl copy of Depeche Mode ‘Violator’ and Klipsch Audio S3M earphones. 13. The winner will be notified on Saturday 28 February. The winner must claim their prize within 24 hours of the CAS sending notification. If the prize is unclaimed after this time, it will lapse and CAS reserves the right to offer the unclaimed prize to a substitute winner selected in accordance with these rules.